There have been fears that the beauty industry was in some troubled waters after reports recently. Especially in the UK, where the new living wage could put a lot of small beauty companies out of business. 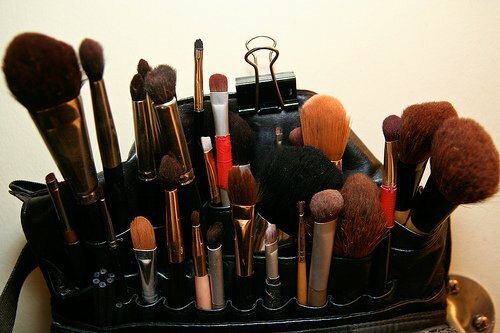 However, experts believe that cosmetics is set for another boom. Let’s take a look at the rise and fall of this profitable market. Along with what causes such fluctuations. With the current economic crisis, some beauty companies have seen a decline in business. With people finding it difficult to get a mortgage or put food on the table, cosmetics have taken a backseat. Smaller beauty businesses have also found it difficult to stay afloat during the financial turmoil. Fewer people are visiting salons and choosing to do the work themselves. Using Youtube and Pinterest for tutorials. This has caused many small beauty businesses to go out of businesses. The last time the industry saw this much of a decline would have been back in World War 2. Many women were making their own cosmetics, due to there being very few available on the market. Now that much of the western world is pulling itself out of the financial turmoil, it is thought the beauty industry will flourish again. Companies are getting smarter with the way they market their products and services to the masses. Beauty bloggers have recently come under fire for marketing products to their readers. Without full disclaimers. Yet, the beauty industry is still relying on this clever form of advertising to pull in new customers. Makeup products are flying off the shelves. Just because they’ve received a positive review from a well-known beauty vlogger. Combined with the fact that many people now have a bit more disposable income, it’s unsurprising if we do see a boom again. It’s not just the marketing tactics that have changed. The cosmetics industry is now investing in smarter technology and more cost effective solutions. In order to bring down the cost of their products even more. Along with providing better quality for their customers. As an example, sanitary mixers are now being used in many cosmetics factories. These are cheaper than some of the other options while also being cleaner and less toxic. The higher quality standards are being passed onto customers, but the pricing changes may not be. This industry remains one of the most profitable on the planet. The markup of certain beauty products has been a talking point for quite some time. With many people questioning how companies can get away with charging so much. For products that cost them so little to make. However, with such a fluctuating industry, this tactic ensures bigger brands never go out of business. Of course, much of this talk of booms and declines is really all just hearsay. Only the cosmetics companies themselves know how well they are performing. If they continue to use smart marketing techniques and cost effective manufacturing. They won’t see a decline for quite some time. Meaning many of your favorite brands are here to stay.